Visit Krispy Kreme on October 31st to take part in the ultimate costume party and get a FREE doughnut! To complete the season of fun, Krispy Kreme is also hosting the ultimate costume party! 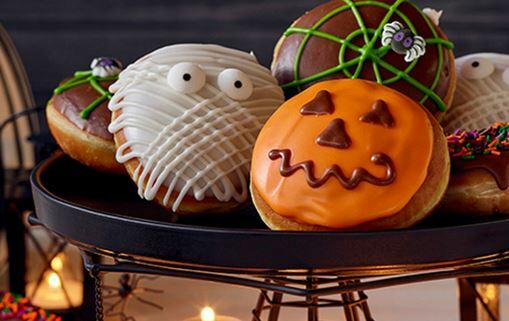 Wear your costume on Oct. 31 to get a FREE doughnut of choice at participating U.S. Krispy Kreme shops. Check out the details here. Stay tuned for more Halloween Dining Deals as the date approaches!